Arrow Factory is pleased to present A Looks Like B, a new 3-channel video installation by Beijing artist Hu Xiangqian that probes notions of time, perception and forms of artistic representation. A Looks Like B combines video footage of mundane events that have normally fixed spans of time—water flowing from a tap, a boiling pot of soup—and manipulates them into a harmony of endless, stagnated sequences. On one screen, a pot of bones boils continuously, never disintegrating or diminishing. On another, the water from a faucet flows endlessly upward defying gravity, while a third screen features the mysterious repeated flailing movements of a figure in the middle of a hailstorm. Plucked from daily life, these ordinary objects and actions are re-engineered into simple looping scenarios that vibrate at their own irregular frequency and offer no clear beginning or end. 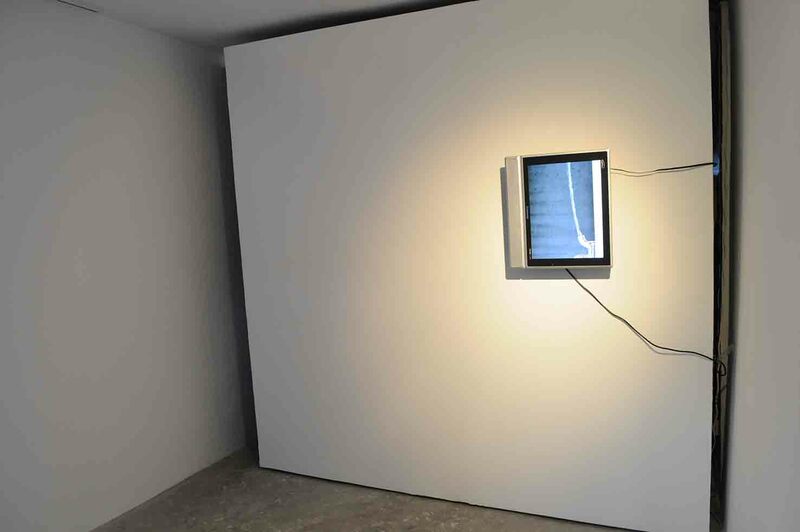 In addition to expressing shared sensibilities of time, however, each video offers a link to specific artistic media: the upside down monitor echoes to German neo-expressionist painter Georg Baselitz’s upside down paintings, the floor piece acts as a sculpture and the small screen references a performance. A Looks Like B is thus an exercise in training our perception to recognize inherent disparities despite similarities of medium and form. Departing from previous works that utilize the camera as a witness to his own performative antics, A Looks Like B preserves Hu’s levity, as well as his wry ability to capture insignificant actions or details and reflect them back at us though his own idiosyncratic worldview. Hu Xiangqian (b. 1983, Leizhou, Guangdong) graduated from the Guangzhou Academy of Fine Arts in 2007. He has held solo shows in Beijing at Long March Space (2012) and Taikang Space (2010) and has participated in the Asia Triennial in Manchester, UK (2011). Hu is one of the co-founders of Observation Society, an independent art space in Guangzhou. Hu Xiangqian’s A Looks Like B is the first in a series of collaborations to take place in 2013 between Arrow Factory and Observation Society, an independent art space in Guangzhou.